Since I've been working on the dual process of reorganizing my hand knits and my ongoing Stashdown, it's naturally led me to thinking more about the topic of knitting a wardrobe that lasts. Lessons were learned from both projects. Reorganizing has made me value classic designs and silhouettes even more. They give a garment longevity. Really good, strong wool passes the test of time with flying colours. And speaking of colour, it's really important to work with colours you love and colours that work with the rest of your wardrobe. We can love colours which we don't feel comfortable wearing. 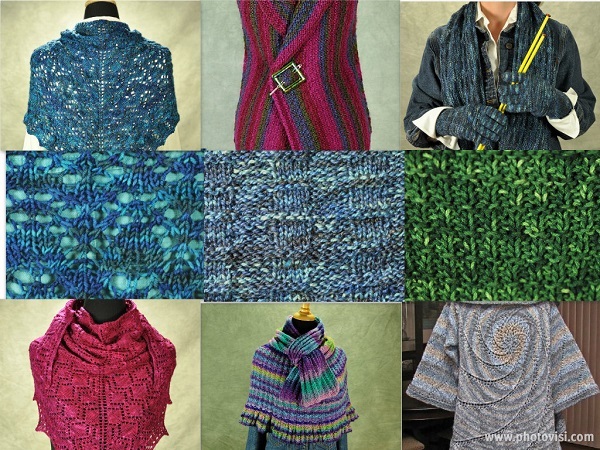 Choosing them to knit with, leads to owning a wonderful garment which you have to force yourself to wear. Pay attention to that! It's a lesson going forward in choosing patterns and yarns. I did notice that some of the items which I still liked that aren't being worn are in colours that I lack garments to wear them with. A few of those items are in a holding pattern. Do I donate them or purchase things to wear them with. I'll let this decision alone for a while. Sometimes I find if I decide to decide later, my answer becomes very clear without spending a great deal of time on it. Things get processed in my unconscious in the same way design challenges work themselves out in the background when I stop trying so hard. The next lesson is, letting go is hard. I did find that leaving the items I was conflicted about in open laundry baskets where I could see them every day helped. It took about ten days of seeing them and I felt much more ready to let them go. The Stashdown has had similar lessons which I think I'll address in another post.